Posted in Inventory and warehousing. From warehouse space to administration, and from management to insurance, inventory costs can certainly add up! The obvious answer to inventory-related financial woes is, of course, to simply stock fewer products, but is this really what’s best for your business? A Harvard Business Review study shows that nearly half of all shoppers will turn to a competitor if their preferred business doesn’t have an item in stock, so for many cutting down on goods isn’t a suitable option. So how can savvy businesses reduce their inventory costs? Research, research, research! Take some time to identify your best sellers, recognise any patterns and trends in purchasing, and perhaps most importantly, keep track of your products to prevent overstocking. A good sales app with an inventory feature can be a lifesaver. And if you’re the type of business that has a tendency to group different SKUs together as one, try to get into some better habits by breaking down products by their units; some units will undoubtedly be more in demand than others. Warehouses can sometimes be a little bit like Mary Poppins’ bag… you never know what you’re going to find in there! While it’s not a job that many can claim to get excited about, taking some time to have a quick run through of your warehouse is a great way to identify and locate old or outdated stock that is unlikely to sell for full retail price. Paying to hold these particular items is simply money down the drain. Free up some space for more popular items by offering outdated stock at discounted/reduced prices. 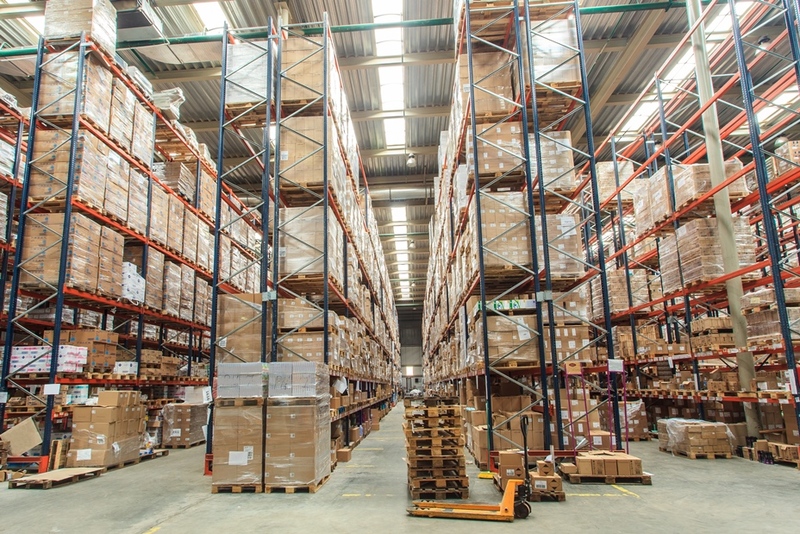 If you’re currently renting or leasing warehouse space by occupied area, then making better use of this space can significantly help you to minimise costs, allowing you to stock in a smaller area, or pack more into your allotted space. Very narrow aisle (VNA) equipment can be really useful, and while updating to VNA tools may result in initial outgoings, the long term savings costs could be huge. Vertical order pickers and VNA magaziners are super space savers, and are designed to be used in aisles less than 6 feet. Ensuring rapid provision of goods from supplier to warehouse can mean that it’s not always necessary to stock large quantities, even of your very best sellers. However, how you choose to reduce your lead time will largely depend upon your own operational processes. Consider whether you can arrange with your supplier to reduce lead time, or if there are alternative suppliers who can offer this. Ask yourself whether the cost of opting for a faster shipping service would be less than holding full quantities of stock. Consider whether there are any areas of your current inventory management processes which could successfully (and cost effectively) be automated, by using technology such as warehouse management software. Automatic re-ordering is becoming quite a popular trend, for example. Automation could significantly help to minimise management and administration costs, and could help you to free up your valuable internal resources for more productive and profit-making tasks. It’s a win-win!